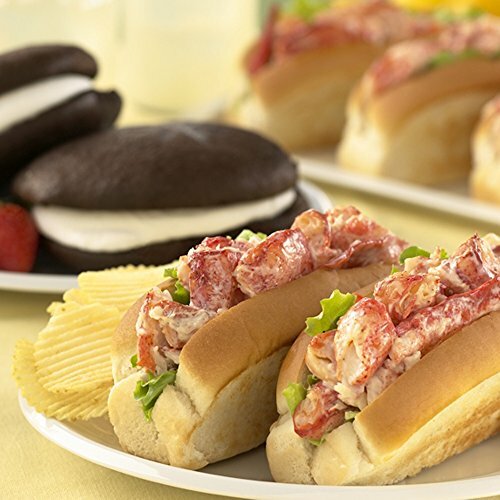 Celebrate any occasion with one of Maine's most famous treats: genuine Downeast Lobster Rolls! Fresh, chilled lobster salad is lightly tossed in mayonnaise and stuffed into a grilled New England split-top roll. Serve them with chips and lemonade and you've got the perfect summer meal. As an added treat, we include another Maine classic: Whoopie Pies! Each "pie" is two oversized chocolate cake cookies with creamy vanilla icing sandwiched between them. Don't miss this unique dessert delight! Straight from the pier to your table--this is the real deal!